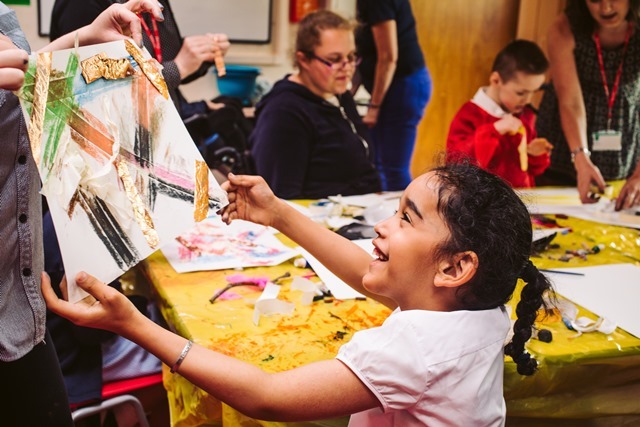 The West Midlands Virtual Schools (WMVS), through a Partnership Investment from Arts Connect, are seeking a suitably skilled individual or organisation to help develop and manage our Arts Link programme across the region. We are happy to hear from those working in a freelance capacity or from organisations who will release a member of staff to undertake these duties. The Arts Link West Midlands (ALWM) Programme is a collaborative partnership across the Virtual Schools (VS) of the West Midlands region. This includes: Birmingham, Coventry, Dudley, Herefordshire, Sandwell, Shropshire, Solihull, Staffordshire, Stoke-on-Trent, Telford & Wrekin, Warwickshire, Walsall, Wolverhampton, and Worcestershire. The Arts Link (WM) programme involves each VS working to develop their arts and cultural education provision, and cultural offer, for CiC, develop the leadership, knowledge and confidence of VS staff/teachers, developing Arts Ambassadors, and grow the Arts networks as a sustainable model for their localities and across the region. The programme is based on the process of commissioning arts organisations/artists to work across the network of schools and take part in CPD to develop and extend staff skills. This contract supports WMVS strategy to increase the numbers of CiC accessing Arts experiences and pathways, championing their arts and cultural learning. We will be working through existing school partnerships, creating an out of school hours programme and introducing, nurturing and embedding new partnerships and programmes. We are seeking individuals or organisations with a track record in working effectively with schools-aged children and young people (from Early Years to Post 16) to introduce and develop arts and culture. They should also have experience of enabling groups from different schools, and organisations, to work together. You’ll bring good facilitation, planning and project management skills, the experience and ability to confidently communicate with VS staff, teachers, school senior leaders, school staff and governors, artists and arts organisations. It’s possible that this Arts and cultural activity may be new to the VS and their CiC, so the ability to maintain their collective focus while other priorities make demands on their time will be important. We expect that you will have an up-to-date knowledge of: Artsmark, Arts Award, Arts Council England’s Quality Principles, what high quality arts and cultural activity looks like with young people, what makes quality CPD (Continuing Professional Development) for teachers and artists/arts organisations, and the issues that are impacting on the current education environment. A commitment to, and understanding of CiC and the potential positive impact that Arts and Cultural experiences can have on them and their Carers is essential. An understanding of the structural arrangements within Local Authorities for the support of CiC and their Carers would also be advantageous. You will need to have an up to date enhanced DBS and adequate insurance cover with reputable insurers acceptable to the WMVS. Find full details of the brief and information in regards to your application here. The deadline is 12 midday on 1 May 2018.